Which is what the EQ continues to prod and poke. I’m not even sure what the EQ even wants any more. Her alliance with Rumple is fraught to say the least, whatever semblance of affection they seem to have for each other is completely overwhelmed by their mutual need to find each other’s most vulnerable, painful spots and just stomp all over them. Ultimately, it’s the recurring good vs Evil theme beyond the Charming’s fluffiness: good relies on friends, family, contacts, trust, allies. Evil has no-one to trust or rely on and rests only on their own power, whatever alliances they have inevitably crumbling under the weight of their own greed, ambition and suspicion. While that same inability to trust others leads them, especially Rumple, to be more insecure and seek more power. It’s a good theme and it’s really well maintained – good doesn’t win because it’s more powerful or more special or morally right or fluffier: good wins because it has all the resources of being a team, while evil stands alone. Ok, this seems like a bit of an “I’m an exception” protest but I think there’s more to it than that. Has Regina achieved forgiveness and redemption? Yes, but the key word is “achieved”. She earned that, several times over. It was a path, a long and quite arduous one. Zelena is NOT Regina, Zelena has not walked that path. Zelena can’t just say “yay forgive me, good now!” and cite Regina as an example without acknowledging what Regina did. Well that as an unexpected reveal (and also, Peter Pan + Black Fairy… ok not the best of starts in life). But, I’ll be honest I was far too busy being shamelessly excited by the presence of Jaime Murray than anything else. (It’s possible you may not be a Jaime Murray fan. This means you have no soul). Rumple has mummy and daddy issues. This whole love affair is the very definition of tragedy and bleakness – and normally I have no time for it, but it’s really well done and really sold by the actors. 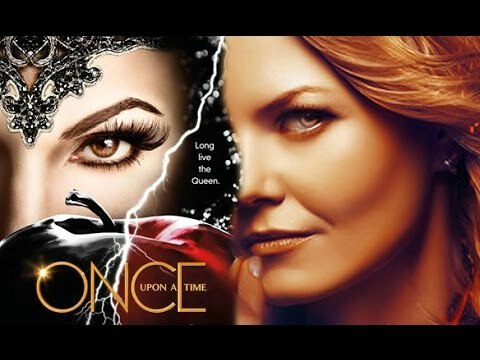 While Emma continues to have visions and flashbacks – this time seeing the sword that is going to kill her, and finding the sword in Rumple’s shop. So we can melt it down? Yes? No? Maybe?